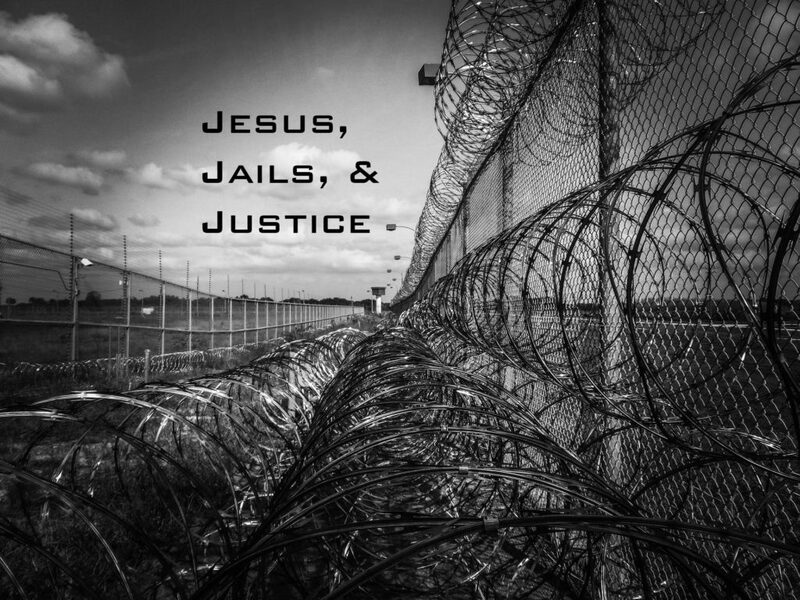 I spent a week immersed in Memphis Theological Seminary’s “Jesus, Jails, and Justice” class. We spent the class learning about the criminal justice system, being careful to apply a Christ-focused lens to our experiences. In prison, lunch and dinner are called chow, and you go through the chow line, and unsurprisingly no one really wants to chow down on the offerings available. A red shirt at 201 Poplar signifies to those whom you encounter you’ve not followed the rules of being a compliant inmate. Prisoners request greeting cards as much as anything to send well-wishes and celebrate milestones of friends and family back home. A convicted felon cannot live in public housing, and is therefore often separated from the family they so desperately need to continue their chances at successful re-entry into the free world. Not having a job can be seen as a violation of parole — despite the fact that very few jobs that will hire felons pay enough to provide the necessities of keeping a job such as transportation and housing. But prison is a place where I went this week as part of a weeklong immersion class called “Jesus, Jails, and Justice” at Memphis Theological Seminary taught by Dr. Janel Bakker. In a span of 40 hours, we explored what it means to be a Christian in a world of mass incarceration, punishment, correction, rehabilitation, recidivism, and re-entry, and what God, through the incarnation of Jesus (who was arrested, tried, and executed) says to the ones society locks away. Our course work and immersion allowed us to talk candidly to a Memphis police officer, speak with a public defender, talk with a judge and sit in on two courtroom proceedings, tour two prisons, a re-entry program, and the Shelby County Jail, known notoriously as “201 Poplar.” We also had the opportunity to talk with wardens, chaplains, volunteers, policy advocates, and inmates. It was, to say the least, a dense week of sensory overload as I, and my classmates, were exposed to so much of the criminal justice system. Taking this class was at the forefront of my discernment process as I begin to wrap up my time in seminary. Strangely, I feel called to minister to the prison population in some way, and this class allowed me to gather some once-in-a-lifetime perspective and information about what a call to this ministry and advocacy might look like. Some of us were startled at how similar the prisons we toured were to public schools we had either attended or visited. The institutionalization isn’t unique to prisons — the cinderblock walls of the prison were indistinguishable of that in an elementary school, or even in hospitals. The organization was similar, as well as the supervision. One security guard may oversee 30-40 prisoners at a time (we were told the industry standard was 1 guard to about 75 inmates). Also similar was the inmates’ lack of independence and autonomy. Minus the barbed wire, the occasional handcuffs, and barred cages, a prison is essentially a public school — and vice versa. African Americans are imprisoned at higher rates than whites. Blacks make up 12 percent of the U.S. population but about 33 percent of the overall prison population, despite studies showing that whites and blacks commit crimes at the same rates. A chaplain at one of the facilities said he had contacted more than 100 churches about contributing Christmas gifts of hygiene items for male inmates — and received zero replies. The United States has incarcerated almost 2.3 million people in a 2018 study. In 2013, the U.S. had 4.7 million additional adults out on parole or probation. You can make lasagna using Ramen noodles, and you can make potato salad using sour cream and onion potato chips. You can find these recipes, and more, in Another Taste of Grace, a church cookbook compiled by the incarcerated members of Grace Place United Methodist Church at the Tennessee Women’s Therapeutic Rehabilitation Center. The safest, yet most dangerous place we toured was 201 Poplar, the county jail. Housing more than 2,500 male inmates, most awaiting trials and only a minority arrested for violent crimes, there was a strict no-deadly-weapon policy. For a country that is currently so vitriolic about gun rights and gun control, entering a place where only one employee (the public entry guard) was allowed a gun on the property was astounding. That peace, even among some of the most dangerous criminals in the state of Tennessee, could be kept and enforced with loss of rights, threat, and pepper spray alone was staggering to consider. What do I and my classmates (and you, the reader) do with this knowledge and these experiences? How do we, the Church, reach out to the Least of These? It’s a complicated answer, and it’s a complicated prayer. Please join me in seeking God’s response and praying for enlightenment and illumination into the criminal justice system and for all those affected. Check back tomorrow for Part 2 of 4. Oh I learned so much from this. I do understand the dire situation of needing a job but are unable to find one due to a felony conviction and a felony is a felony no matter what the crime, correct? I have mixed feelings, but having worked in an industry with some felons, I can tell you they were some of the hardest workers I know. Correct…you can have a felony drug charge or a felony who knows what else. You don’t have to go to jail/prison to have a felony though, which I didn’t know. And I think there might be different degrees of felony? And yes, I understand the mixed feelings!!! Not everyone wants to be rehabilitated or work hard, but to assume that all felons/convicts don’t is wrong, too. When you take your first steps behind the big metal door and it slams is quite overwhelming for most. You see a population of a small city behind four walls and everyone is looking at you; the guards are watching you making sure you don’t pass anything. The inmates are looking at you to size you up to see what’s your angle, are you there to impress, are you there to preach, are you there to show the love of God. And they can figure you out in 10 seconds. Prison ministry is very rewarding and very taxing at the same time. Sounds like you have some experience? I’d love to hear more about it sometime! I would love to talk to you about walking with inmates in their faith. This is highly disturbing. Please put me in touch with this chaplain. I’ll take it to my church and to the many compassionate folks I know. Thank You. I can’t speak for the factual numbers but I have found the lack of support due to gender to be regional/situational. At McCracken Co. Jail (where unless you’ve been sentenced to 5 years hard time, you likely won’t get shipped to prison and therefore have more options to move around, take classes and rehabilitate) the Class D Felony work program helps almost 20-30 mem and 4 WOMEN!! Women can wait over 6 months for the right to earn money and good time. I was told (repeatedly) even when women have been granted Class D Felony privileges, they are not allowed to leave jail facilities to work in public institutions like cleaning courthouse or roads bc they “always come back pregnant”. At MCCJ I know a lot of the opportunity issues were numbers or security based, but it’s hard to understand the lack of equality when you’re inside. Men had way more classes/opportunities to leave cells while women didn’t even have cells or day rooms and were shoved in tight overcrowded dorms with little opportunities to get out of that room. Much less than the men. Side note, I have really appreciated reading about your love through ministry for people on the inside. Don’t give up and if there’s ever anything I can do to help please let me know. Thank you for sharing!!! I’d love to talk with you more!! !